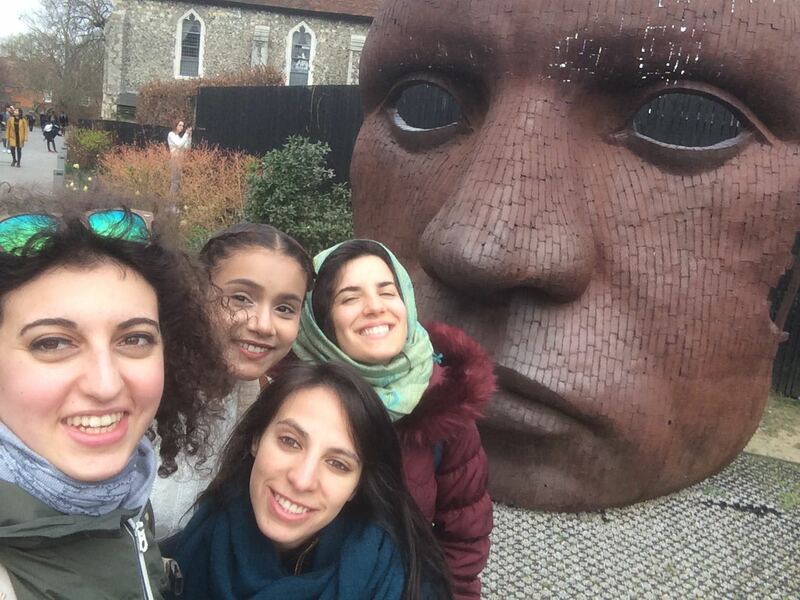 The University of Surrey’s Student Union organizes day trips for the students every semester. They advertise these trips on their website as well as on Facebook. As a student you can sign up and pay for the trips via Tixtu. The best part of these day trips is that they are the cheapest way to visit different cities in England as a student. The trip to Canterbury only cost me 9 pounds and the trip to Portsmouth only cost me 8.50 pounds. This includes the transportation which most of the time is by bus. The bus leaves from the center of campus, and most of these trips are only one to three hours away. You can go on these trips with your partner or with your group of friends. Once you arrive to the city you are free to visit the sites you want. You just have to organize yourself and make sure you are back in the bus by the time it leaves the city to return to the university, which most of the time is around 7pm. What is great about the cities is that they are small, therefore you have enough time during the day to walk around and see the historic sites, do some shopping, and eat dinner. 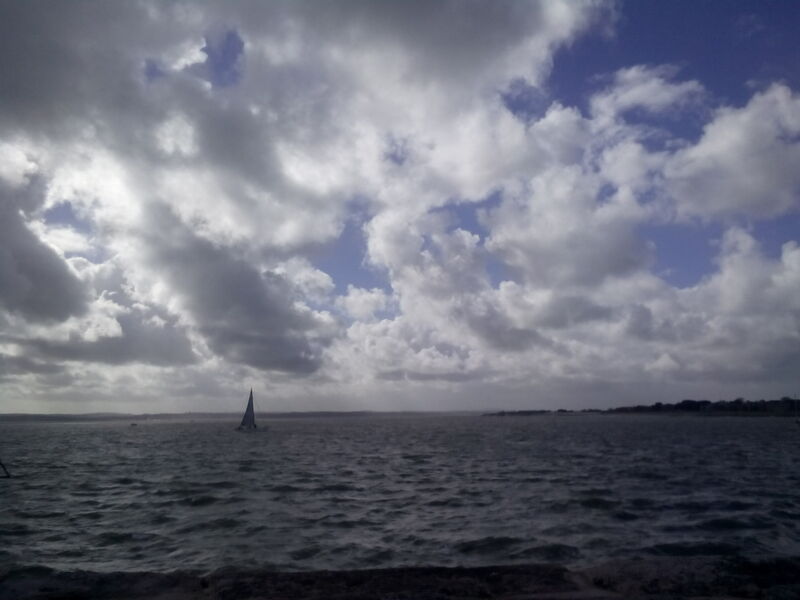 Portsmouth is in the coast, it has a lot history, a famous port, a beautiful waterfront and Harbor, and a university. 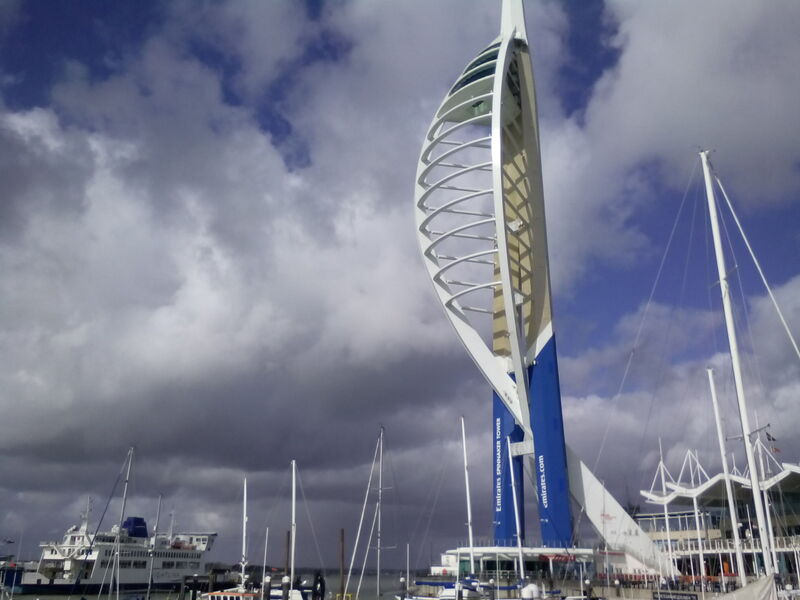 As a tourist for the day you can walk in the waterfront and Harbor, enjoy some shopping in the Gunwharf Quays, visit the historic dockyard, and go up the Spinnaker Tower, one of UK’s tallest structures, which is 560feet (170m) tall! 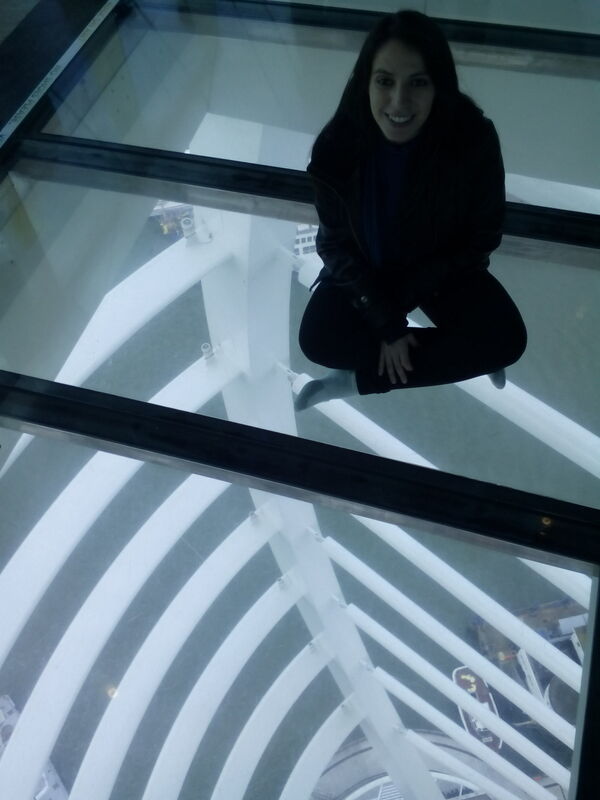 You get beautiful views of the city from up top. 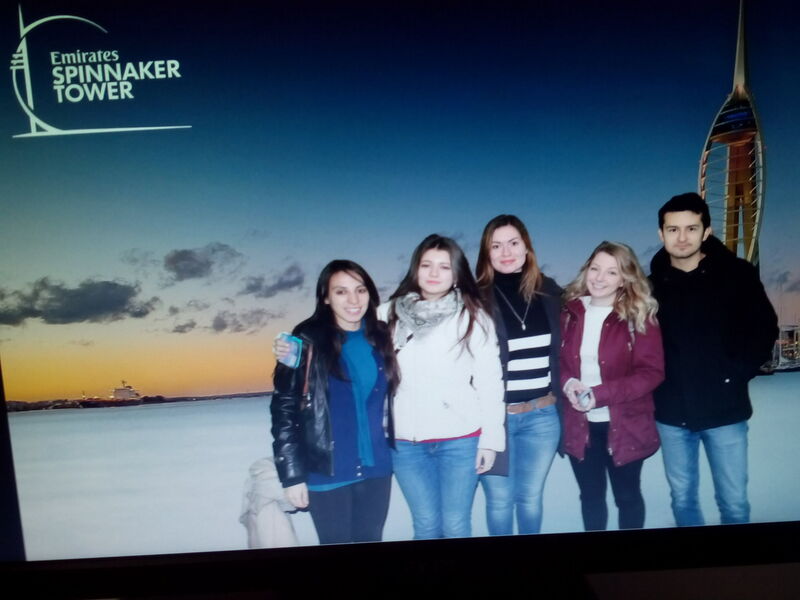 Spinnaker Tower!!! 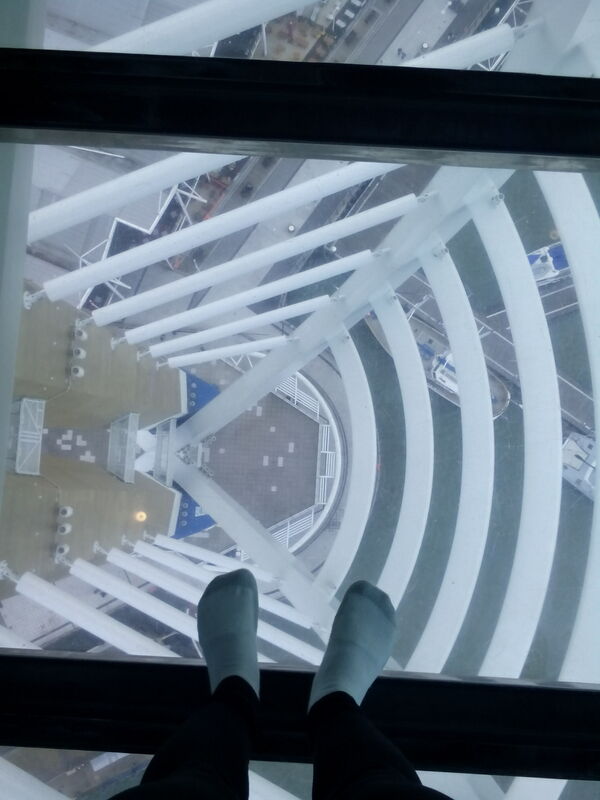 560feet (170m) tall! 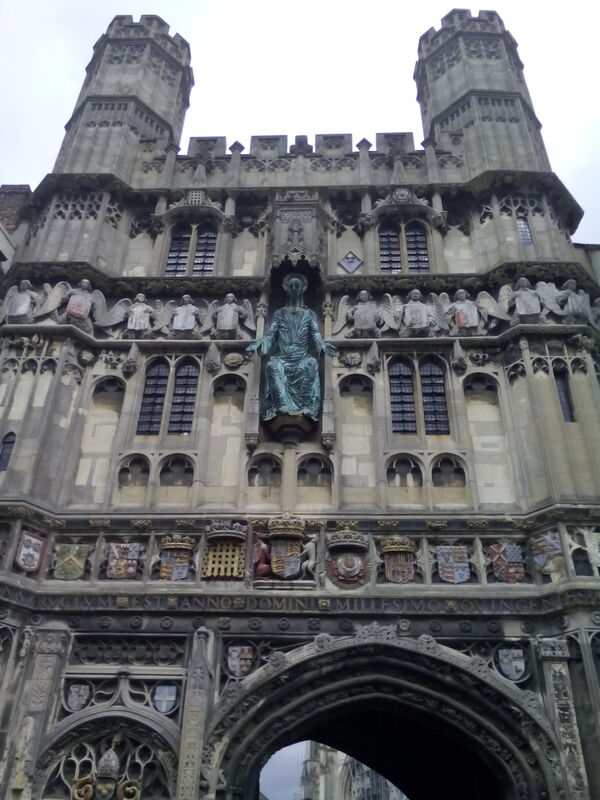 Canterbury is famous for its cathedral, which is an UNESCO World Heritage Site. It is at the heart of the city. 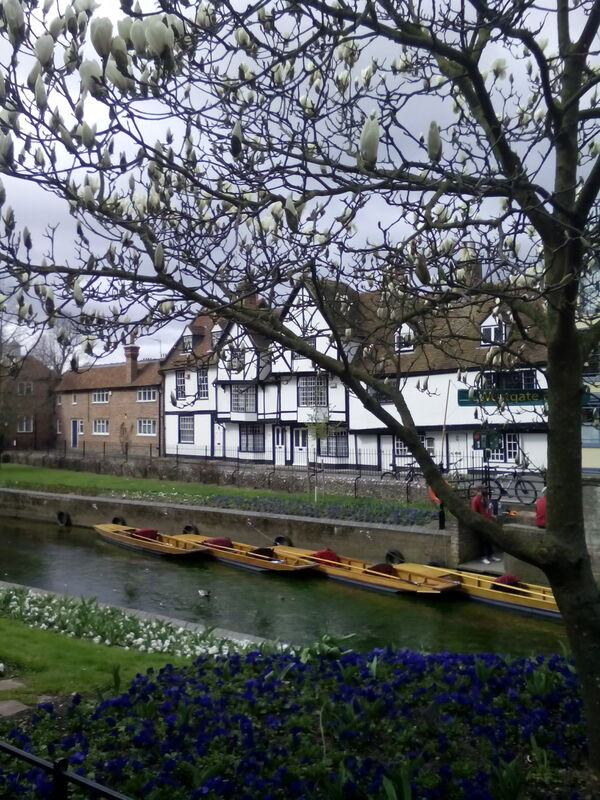 You can walk along the River Stour, and visit the different churches in the city. 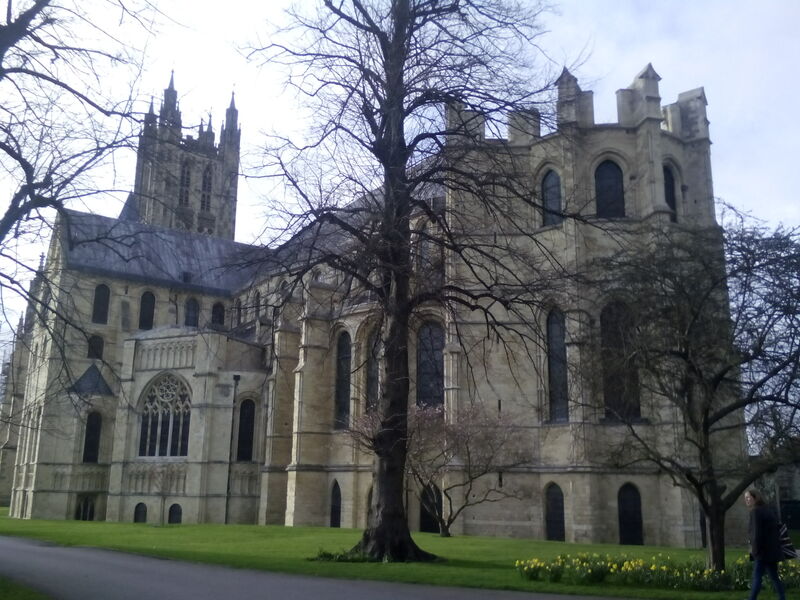 Today the center of Canterbury is very touristic so you can find a lot of stores and historic structures along the way. Cantenbury Cathedral! UNESCO World Heritage Site! I love the day trips offered by the university. I would recommend them to every student! Do not forget to check them out soon though because they sell out very quickly. And they are worth it even if you are very busy with school work. Do not miss you chance to visit new cities in England in a cheap, convenient, and fun way along with your friends!